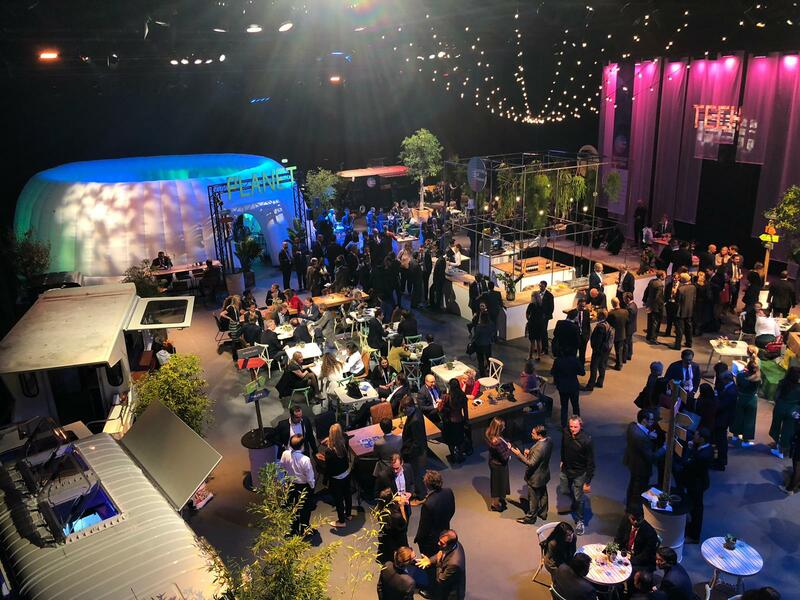 FinConecta's participation at FMO's Future of Finance Conference: "Tomorrow Matters"
The Future of Finance conference hosted by FMO in Utrecht, The Netherlands, proved to be a fantastic event! During September 30-October 2, FinConecta got the chance to showcase both the FinForward Innovation Program and Acelera, our digital transformation simulation game, to an audience of the most influential financial leaders and executives from around the world. Our CEO, Jorge Ruiz, presented the FinTech Innovation Program designed jointly by FMO and FinConecta, along with Arise as a strategic partner, “FinForward: Crafting New Partnerships in the Financial Sector” at the Tech Pavilion. This program focuses on accelerating the digital transformation of the financial industry in Africa by promoting partnerships between African Financial Institutions and Fintech companies worldwide. The presentation at FOF featured different players from our financial ecosystem, including GHL Bank, I&M Tanzania, Ecobank Group, Daza Software, Bank-Genie, and Tailor, all of whom presented their insights and experiences while working with FinForward and how the program has enabled them to scale up their digital transformation, by developing partnerships and implementing innovative FinTech solutions. Ecobank also shared on stage their insights regarding the Ecobank Fintech Challenge 2018. We concluded our participation with yet another incredible session showcasing Acelera, the first digital transformation simulation game for the financial industry. Helena Herrero, Head of the Academy, had the opportunity to present and facilitate a demo. Topics addressed included: remittances and distributed ledger technology, adoption of an agile mindset, use of artificial intelligence, alternative technology models, KYC process management, digital currency strategies, and social media management. Acelera´s players were presented with decisions related to FinConecta´s 5 domains of digital transformation model, as well as real-life constraints. The game proposed an environment that allowed taking decisions in complex situations while providing the safety and thrill of a simulated reality. Attendees were able to learn more about Digital Transformation and embrace new perspectives and technologies in a fun and interactive way.